Paul is managing partner of the UPGRADE Training & Consulting Group. As a systemic managing consultant, trainer and coach, he has been concerned with personal- and organisational development for the past 15 years. Specialising in management and sales consulting, he has established himself as a successful entrepreneur. He develops leadership- and marketing strategies for as well as with his customers and accompanies their implementation. One focus of his work is goal-oriented communication in the areas of management, key account management and fundraising. He holds lectures, amongst others, at the Wifi-Management Forum, the Austrian Sales Congress as well as at various expert forums. Peter Pokorny is an economic psychologist with focus on personnel development and adult education. For over 20 years now he has been working on making people and organizations more and sustainably successful. 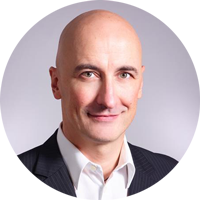 His path to Upgradegroup has led from consulting over different sales management positions in a big and global concern and recently a long-standing occupation as CEO of a middle-sized marketleader in Austria which specialized in creating learning concepts, producing learning media and realizing learning support. Peter is particularly interested in efficient, effective and lasting growth of competencies in companies. 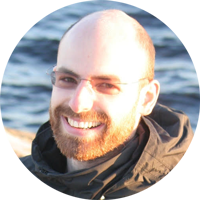 Mischa started his career in electronic and electrical engineering at engineering consultancy Arup in London designing mission critical infrastructure for datacentres and hospitals. He was lead engineer at a zero-carbon buildings startup in Oxford before he turned to Sweden for a second masters in Strategic Leadership towards Sustainability. Together with Melinda, he has been building up Resonanz to support leading organisations in realising their potential with a whole systems approach. 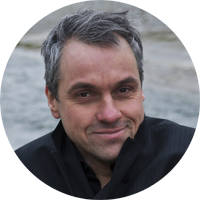 He regularly conducts Sustainability@BoardLevel workshops in Sweden and Graphic Facilitation workshops in Austria. Mischa practices The Art of Participatory Leadership and cultivates a keen interest in inter-cultural and inter-religious sustainability movements. 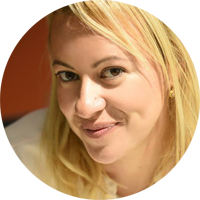 Tina is a facilitator and personal coach for professional communication. She specialized in solution orientated conversation skills and interpersonal relationship-building in leadership, sales, customer satisfaction and complaint management. Throughout her career she led a great number of workshops and held lectures in various fields (medicine, finance, commerce, education, non-profit), always focussing on rising her participants´ awareness of their own inner state, speech content and body language, as well as their dialogue partners. She is known as a humorous and inspiring speaker. 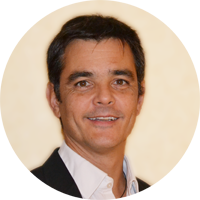 Tim is a facilitator and coach with focus on leadership and sales. He predominantly works in English language for top companies all over the world - whether in Shanghai, Buenos Aires or Moscow to mention just some of the locations. Tim has a lot of experience with international groups. Barbara is one of the foremost facilitators and speakers for voice patterns, speaking techniques and the language and behavior profile applied in the business world. She is an expert in below-conscious communication processes in management and sales: what drives people to do (or not do) things, outside of their awareness. 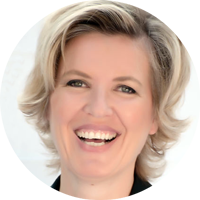 People and organizations seek her out because of her solutions to marketing, sales, negotiation and team management challenges using her voicecode® - a psycho-linguistic tool for uncovering how people get motivated, how they think and make decisions as well as to apply the right intonation patterns to reach goals. 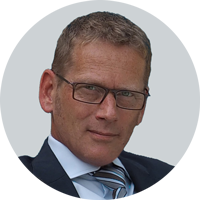 After training in the insurance industry as well as several years of successful activity with management responsibility in sales and customer care, Hans-Christian has been working as a personnel developer, award-winning trainer, consultant and moderator in transformation processes for more than 20 years. He is regarded as extremely experienced in many different industries and subject areas. At the center of his approach is always the person who thinks, decides, implements and lives for the consequences. 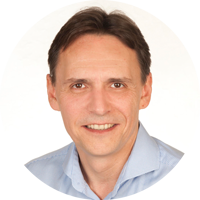 Bernhard has been successful as a trainer and coach for over 15 years in the areas of sales, leadership and personal development. His passion to help people fully realize their potential is evident in every minute of his training courses and workshops. The working method is characterized by a purposeful approach, in the sense of "only through our further developed attitude we arrive at a new behavior". Only when people redefine their views and attitudes, they can use the developed tools meaningfully and focused. With over 20 years experience in Business, Susana is what we call the global Consultant. With international experience in different sectors and cultures. Her experience in business allows her to readily identify and recognize the challenges her clients are facing and enable her to find the best way of supporting them. 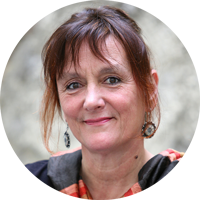 Pia has a Ph.D. degree and has been working as an facilitator and coach for over 20 years, mainly for multinational enterprises in Europe, the Middle East and Africa (such as IBM, Henkel, OEMV). Her focus is on communication and coaching skills for sales people and managers. She has lived in different countries and learned 6 languages, and offers training and coaching in English, French and German. Florian works as Digital Director der Zukunfstinstitut GmbH. He used to work within international environments as business development manager in the area of large enterprises (e.g. Daimler, World Bank, Deloitte, PwC). He also acts as facilitator for intercultural awareness, communications and sales (e.g. Austrian Airlines, ÖBB, VMware, A1) and academic researcher and lecturer on applied competencies and change management (Sigmund Freud Private University). Christoph used to live as Buddhist monk in Thailand for 17 years. 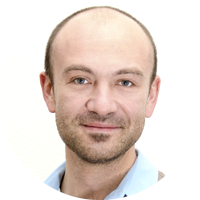 Back in his hometown Vienna since 2000 he has been working as psychotherapist, coach and facilitator for mindfulness and meditation for individual clients as well as for groups and companies. He is particularly interested in integrating the insights of western and eastern psychology in a relevant and true to life way. He stresses mindfulness to be a good way to understand oneself. Based on this he focusses on a consistent lifestyle containing life in all its facets. This applies to the management of stress, support of positive emotions and resilience, ability to focus and mentally stay at one matter and the maintenance of interpersonal relationships. Christoph is fluent in German, English and Thai. 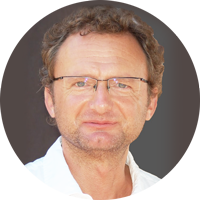 He is founding member of the Austrian Professional Association for MBSR (Mindfulness Based Stress Reduction). Martin grew up in Vienna, he studied acting at the Max Reinhardt Seminar of the University of Music and Performing Arts Vienna. Numerous engagements at different theaters in Austria and Germany. Many jobs for radio, movies and TV. Intensive work in the areas of masque and creation of masks, founder of the nonverbal mask theater “Scaramouche”. For many years now one of Martin´s main interests is to utilise the knowledge on personal appearance and effect for different professions like musicians, teachers, trainers, consultants, sales people etc. 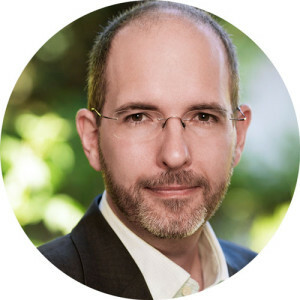 He has a lectureship at the Max Reinhardt Seminar and works as coach and consultant for organisations and individuals in fields like stage presence, appearance optimisation and nonverbal communication. 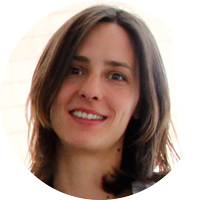 Catarina shares her nationality between Portugal and Spain and has an academic background specialized in training and learning by one of the oldest universities in the world: University of Coimbra. She is a facilitator, coach and consultant in five different languages and has large experience working with senior executives from several multinational companies. 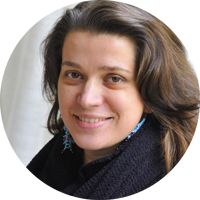 Catarina is driven, focused and empathic and her passion is working with and for the people. Thomas has been working as professional trainer in over 50 countries for more than 20 years now. He is specialised in telecoms industry, sales and presentation techniques. His experience is based on long-term cooperations with international companies such as IMB and on various workshops for universities and NGOs. In his training activities Thomas motivates the participants to realise personal strengths and potentials for development and simultaneously widen the professional as well as the personal comfort zone. Heinz is business economist, philosopher and healthcare professional. After different management positions in several companies he has been working as trainer and coach since 2004. His expertise focusses on the development of business knowledge, leadership skills, personality-related and communication skills. Andrew grew up in Scotland and has lived in England, USA, Spain, Germany, Denmark and France. 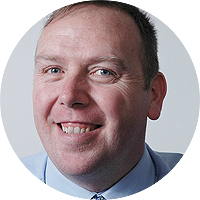 He graduated with an engineering degree at Napier University in Edinburgh, was awarded an MBA in innovation, strategy and entrepreneurship at EDHEC, in Nice and is a certified executive coach with the Academy of Executives Coaches in the UK. 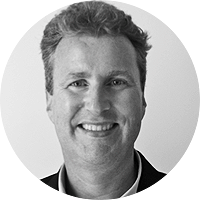 Andrew has 25 years experience working with global organisations as a leader and facilitator. 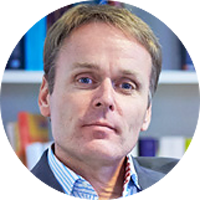 He designs and delivers leadership development programmes, innovation and sales management workshops and team coaching internationally in English and French. He works with a variety of industries such as agrochemical, biotechnology, pharmaceutical, manufacturing, computer electronics and telecommunications. 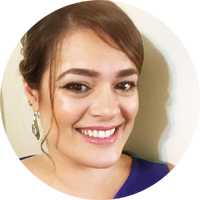 Marina has worked as a senior sales representative in the portuguese pharmaceutical industry for over 10 years. Her professional experience is drawn from working in multinational companies, namely Bayer Healthcare, GlaxoSmithKline and Pfizer. She is focused in the implementation of leadership and sales programs. Her special fields of work are marketing, sales, negotiation and team management challenges. Integrated part of her work is the implementation and “upgrading” of goal-oriented communication in the teams she is working with. 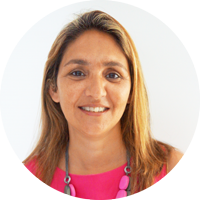 Marina holds a Master’s degree in Marketing Management at ISEG - Lisbon School of Economics & Management and is author of the book "Coaching para pessoas disponíveis». Specialties: Pharmaceutical Business - Innovation, Mature and Generics. 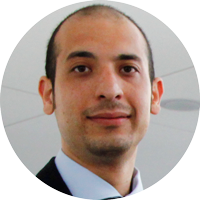 Amin is a young professional certified trainer and coach in the field of sales, communication and tourism. He received his M.A. degree in Project Management and Organization from BFI Vienna University of applied sciences. He also holds a MSc. degree and a Bachelor degree in Executive Management and in Tourism Management. In his studies he has focused on subjects such as customer satisfaction and loyalty, communication and presentation abilities, international project teams and creating strong sales teams. Andi holds several academic degrees and post graduate certificates with focus on strategy, innovation & change, knowledge management, strategic HR, coaching and facilitation. 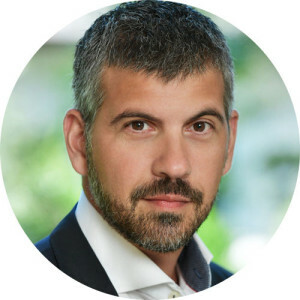 He has over 20 years of experience in business in a wide range of roles, including director of a family business in the health care sector, manager in a Fortune 500 defence contractor, owner and partner of several learning and events companies. 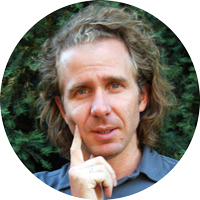 Having lived in Spain for over fifteen years, Andi also has extensive multicultural experience as facilitator and coach, having delivered in over 30 countries in Asia, Middle East, Latin America, North America and Europe to participants from more than 60 countries. 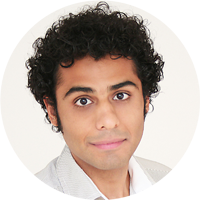 Amirali has been trained as an architect in UK and received his MSc in Building Science and Technology from Vienna University of Technology. Holding an associate degree in computer software engineering, he has worked on various software and web development projects in private and public sector. Apart from the technical world of computers, he follows his passion of design, graphics and photography. 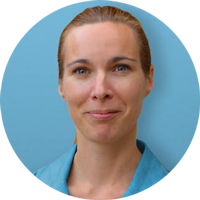 Melinda brings a host of experience from her customer centric work in public, private, and NGO sector work. Her career has taken her from a telecoms startup, via building up an entrepreneurship academy at a consulting firm, through trade development for biotech at the Hungarian Ministry of Economics. Since her second masters in Strategic Leadership towards Sustainability she is deeply engaged in transforming the way we work, such as using visual facilitation for creating a common understanding. She is actively involved in cutting edge projects like Impact Hub Budapest, resilience for communities in climate change affected areas, and entrepreneurship in a new paradigm. 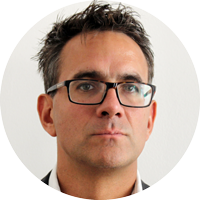 Tom is business trainer, facilitator and coach specializing in B2C and B2B sales and communication skills in Europe, the Middle East and Africa. He has lived in eight countries, travelled five continents and has over 20 years experience with multinational companies. His working style is energetic, entertaining, based strongly on group involvement and rich holistic learning. Outside of work he is a passionate artist, sportsman and father. He is always ready for travel and adventure. Heimo Adelsberger is a Professor emeritus of business informatics. He started his scientific work while teaching at the Vienna University of Economics and Business and continued his work at the Texas A&M University and the Technical University of Denmark. 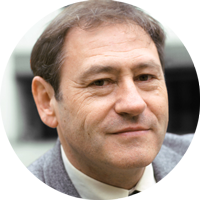 He held guest professorships at several universities such as the Carnegie Mellon University and finally at the University of Duisburg-Essen, where he set up the institute of business informatics of which he was head professor for almost 25 years. After focusing on informatics-related subjects at the beginning of his career and simulations of production-related questions later on, E-Learning has been the main emphasis of his research work for over 20 years. He has written numerous publications on Technology Enhanced Learning, amongst other topics, and has been in charge of many national and international research projects. Currently Heimo Adelsberger is leading the project erp4students which is a large and international E-Learning platform for the education of university students on SAP systems. In terms of methodical approach, he has long been a passionate advocate for change from a mere academic transfer of knowledge to the development of practical skills. Hugh consults on a variety of different projects and has co-authored papers in a variety of different fields including education, natural resources, and health. An interest in statistics dates back to listening to baseball games and learning various records about cows on the dairy farm he grew up on. He studied economics at the University of Maine and the University of Wisconsin, and has taught economics and statistics in business schools at Miami University and the University of Dayton. Rico is a former Chief, Project Appraisal and Quality Assurance at the United Nations Industrial Development Organisation (UNIDO). 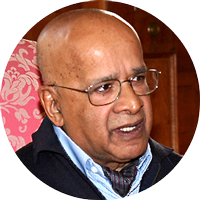 He has over 30 years of multicultural work and life experience in 33 countries thanks to assignments also with UNDCP, UNICEF, UNEP, OSCE, IAEA, European Central Bank, World Bank, IMF — and with private and public sector institutions. He specialised in the management of international co-operation and, as a coach, facilitator and trainer, in learning and continuous improvement processes of people and organisations. Currently, Rico is Managing-Director of a think-and-do tank, Global Options and Linkages (GOAL) and an External Lecturer, Centre for Development Research (CDR), University of Natural Resources and Life Sciences (BOKU), in Vienna. He undertakes action-research projects on a psychosocial complex adaptive systems approach to creativity, innovation and transformative change. He is the author of several publications based on this research. Michael is senior scientist and director of the Centre for Development Research at University of Natural Resources and Life Sciences (BOKU) in Vienna. In this function he designs and monitors the overall strategy of the centre, conducts scientific research, delivers lectures and offers seminars as well as supervises students. Michael is an agro-ecologist by training. Over the past ten years, he worked on sustainable agriculture, natural resource management and livelihood transition, largely in Sub-Saharan Africa with some exposure to Asia. A central focus has been on innovation and change processes. He conducts graduate and post-graduate courses. 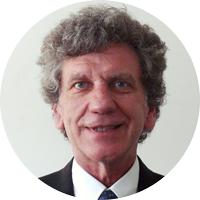 He is president of AGRINATURA – The European Alliance on Agricultural Knowledge for Development and board member of the Commission for Development Studies in Vienna. As a close friend he is also an important part of the UPGRADE think tank.